MIAMI LAKES, FLORIDA, UNITED STATES, March 4, 2019 /EINPresswire.com/ -- Miami, FL – March 4, 2019 (undergroundstocks.com Newswire) – UndergroundStocks.com, an elite wall street independent small cap media group with a history of bringing lucrative opportunities, reports on Image Protect, Inc. (OTC: IMTL). 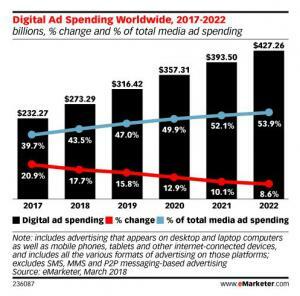 Total media ad spending worldwide will rise 7.4% to $628.63 billion in 2018, according to eMarketer's latest report. Asia-Pacific and North America will account for 70.5% of the $628.63 billion global ad spend this year. 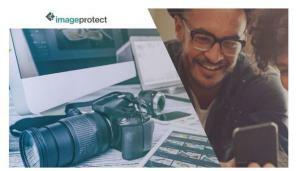 Image Protect's main focus is on the global digital online advertising market utilizing our IPShare technology. By uniting technology with a team of copyright experts, we ensure that content providers preserve the value of their digital assets. Our web application monitors the global Internet to seek and collect evidence for illegally used visual content. Then our legal partners across North America, Europe, and Asia ensure our clients receive appropriate compensation for work used without valid license. IPShare technology Image Protect has developed a theft proof online image format with in-image advertising, hot links, social sharing and dynamic messaging – IPShare™. As an option to the standard DMCA takedown, the image is replaced on the publisher’s website with an embeddable, trackable and secure image. It is a win-win for all parties, the creator and publisher enjoy incremental revenues from in-image advertising and advertisers are able to connect to their customers. This undervalued stock should be in everyone’s watchlist. IMTL’s current share structure is the following: AS 750,000,000 million, OS 250,859,629 million. The market cap at the time of writing was $1,831,275. The current share price is $0.0073 IMTL is one of those thinly traded stocks that could explode on low volume and once this cheetah takes off there’s no stopping it. Undergroundstocks.com is an elite wall street independent small cap media group with a history of bringing lucrative opportunities. We are well known for discovering undervalued companies and bringing them to the attention of the investment community.All information contained herein as well as on the Undergroundstocks.com website is obtained from sources believed to be reliable but not guaranteed to be accurate or all-inclusive. All material is for informational purposes only, is only the opinion of Undergroundstocks.com and should not be construed as an offer or solicitation to buy or sell securities. The information may include certain forward-looking statements, which may be affected by unforeseen circumstances and/or certain risks. Undergroundstocks.com and its associates may have a position either long or short in any company mentioned herein. Please consult an investment professional before investing in anything viewed within this article or any other portion of Undergroundstocks.com.